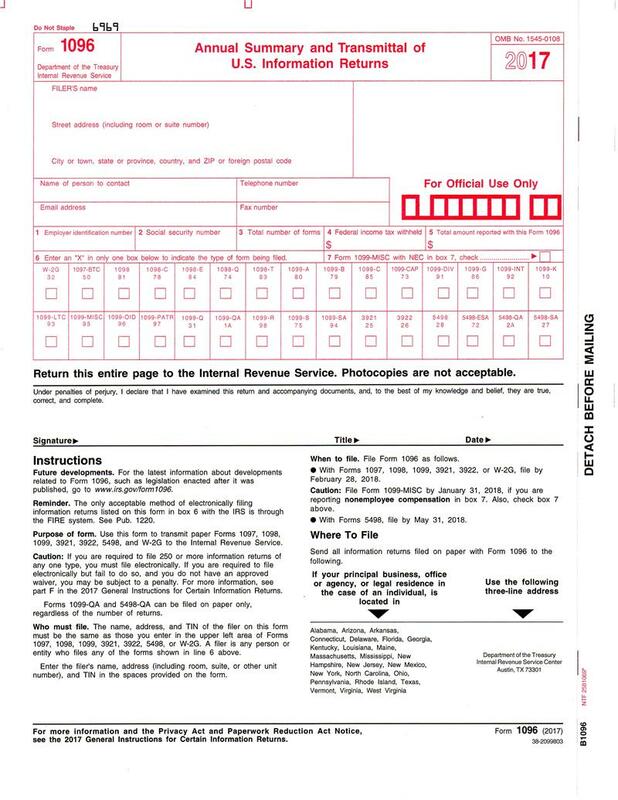 Use Form 1096 every time you send one or many Forms 1099, 1099, or 5498 to the IRS. You require 1 Form 1096 for every different Form 1099 you send for any given company. 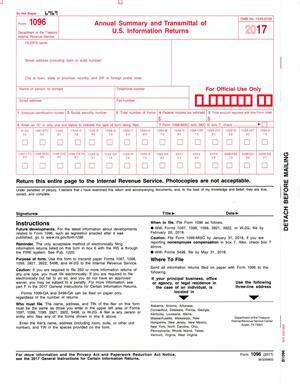 For example, if you need to send Forms 1099-MISC, Forms 1098, and Forms 1099-OID, then you need 3 of these Forms 1096.